Collins Booksellers - Amazon Echo Dot by Danielle Kinley, 9781520432564. Buy this book online. This book is a great guide for you to get started if you are a fan of getting the latest technologies at your house. The Echo Dot device looks like a dot, and there are a lot of benefits which it can bring to your life. You will see how it changes the lifestyle and help you out with keeping you updated with the external world and fixing your internal matters such as reminding you of important things. Echo Dot speaks to you when you set it up with different features which are present in this awesome device. If you have bought this device, then it is a must have to get this eBook. It will help you step by step to learn about the little device and the various features which are involved in it. You can make use of all the devices and enjoy your life without any worries or stress. 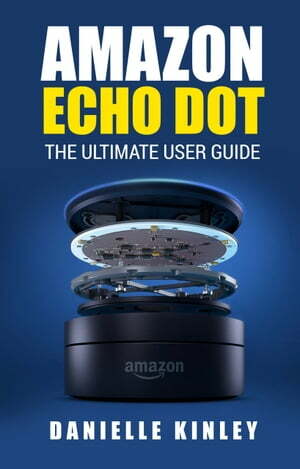 If you are someone who does not know about Amazon Echo Dot then you should surely get this eBook because once you go through it, you won’t be able to resist getting the actual device. The more you learn about it, the more you would want to get it because of the ease it gives in your life. Especially if you are someone working and handling the house chores at the same time, then this can be best help for you to get done with the day without any obstacles or forgetting any important event. With this device, you will be remembering your events and won’t miss out of your loved ones.